Born and raised in Hot Springs, the southernmost community of the Black Hills, Casey Varick enjoyed playing football, basketball, baseball, participating in track and field and high school band. 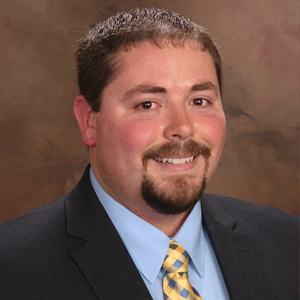 After graduating from Hot Springs High School, Casey went on to attend South Dakota State University, the University of Nevada Las Vegas and then to complete his education to become a Doctor of Chiropractic, at the prestigious Palmer College of Chiropractic in Davenport, lowa. After receiving his degree, from Palmer College of Chiropractic, Casey went on to practice for 3 years in Seattle, Washington. But the Black Hills of South Dakota beckoned him home. Casey opened his own chiropractic clinic in the community of Box Elder, SD, just outside the main gate of Ellsworth Air Force Base, in 2008. In 2013 Casey decided to add to his resume and career achievements by acquiring a SD real estate Broker Associate license and joining the family owned and operated Gold Key Realty & Auctions. It was not long after that Casey acquired his SD Broker's license. Casey has a way with his clients that is somewhat remarkable, they all think the world of him. His patience and steadfast way is reassuring and extremely helpful if times get a little tense. "I look forward to helping our clients realize their real estate dreams and providing them with our excellent Gold Key Realty service along the way". This is Casey's vision and what he strives for. Whether treating his chiropractic patients or assisting his clients in selling or purchasing a home or property, he makes sure to give his time and attention to all who seek his services and expertise. When you search for Rapid City houses for sale (or a terrific chiropractor) rest assured you have made an excellent choice when you call upon Casey Varick.